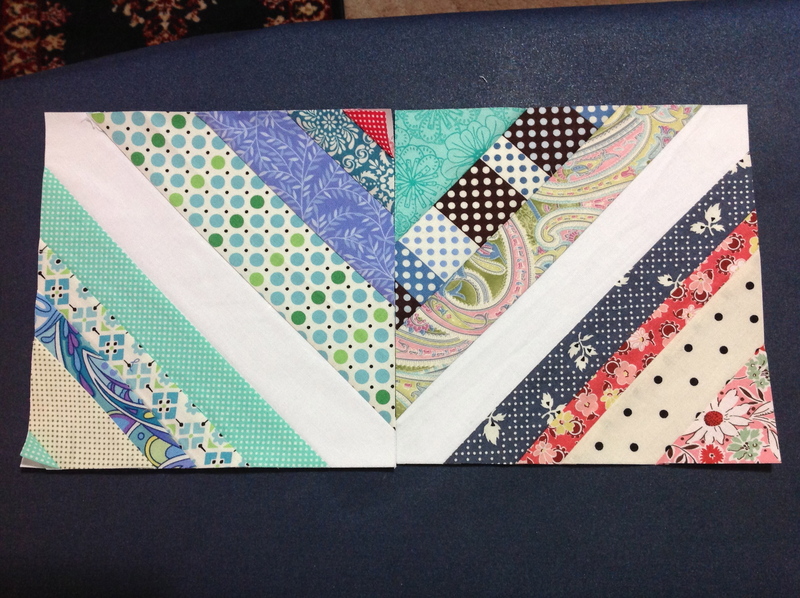 String Quilting on a Rainy Day! I’ve dug out all of scrappy strips from my stash, dumped them on my sewing desk and proceeded to dig in to begin my first ever string quilt! I’ve placed the iron and ironing board on my right for easy access, my sewing machine ready to sew in the middle and my cutting board/working space on the left. 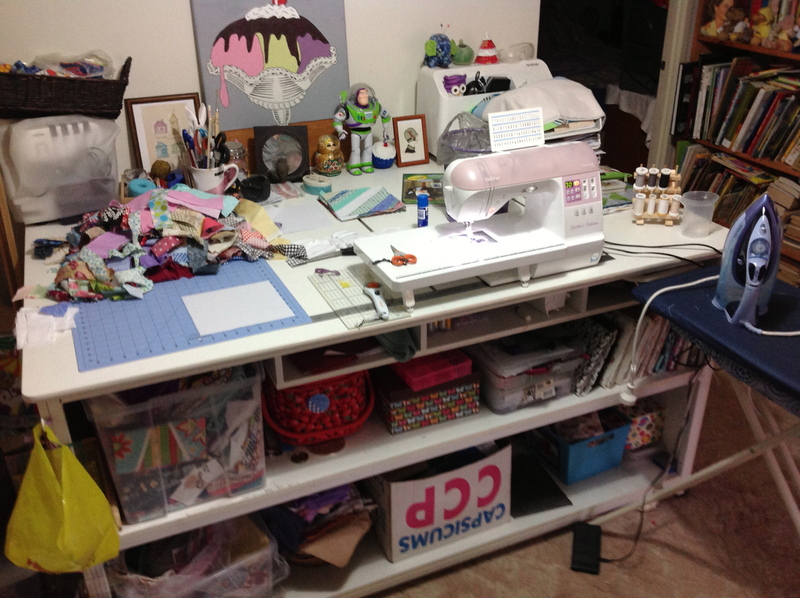 Everything is in easy reach – ruler, rotary blade, big and little scissors and the bin is up on the table behind the sewing machine. 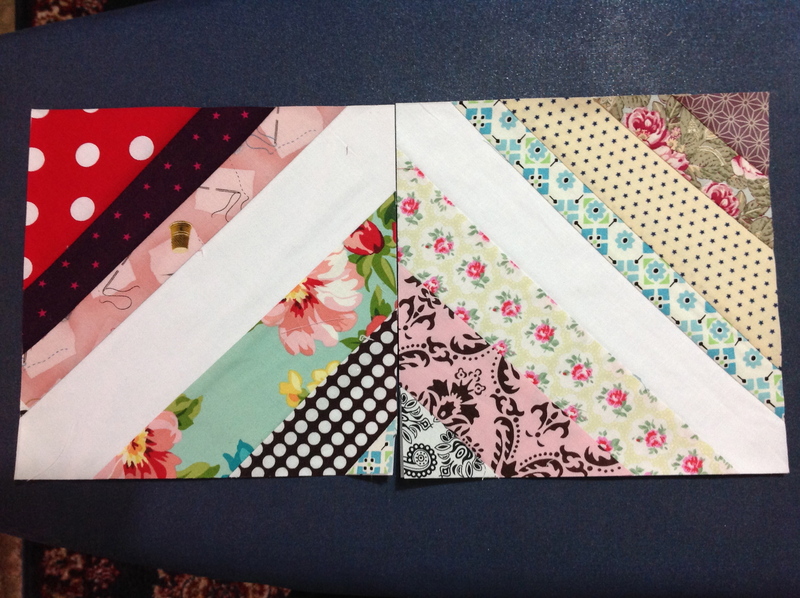 I’ve two piles: one of pre-cut paper (I’m using a foundation paper piecing method) with the other being the completed string blocks. 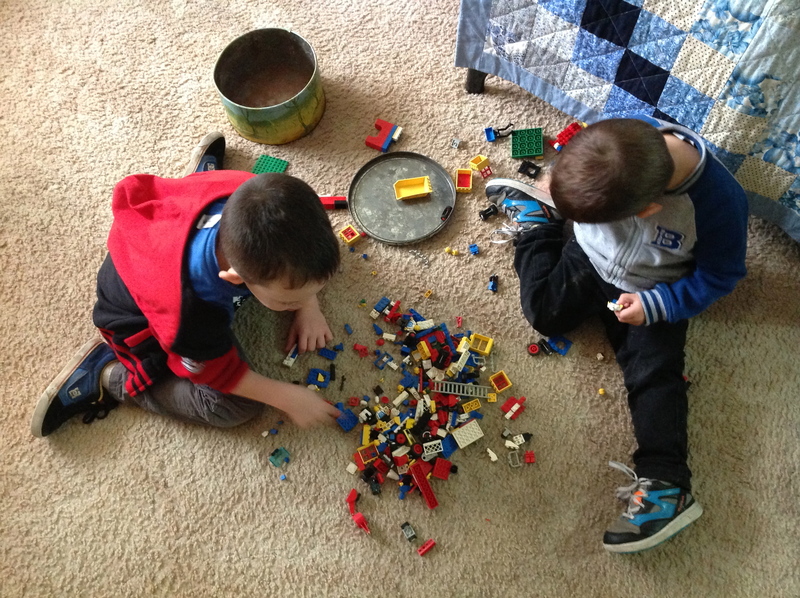 But for now I’m off to play with old school LEGO with my nephews!